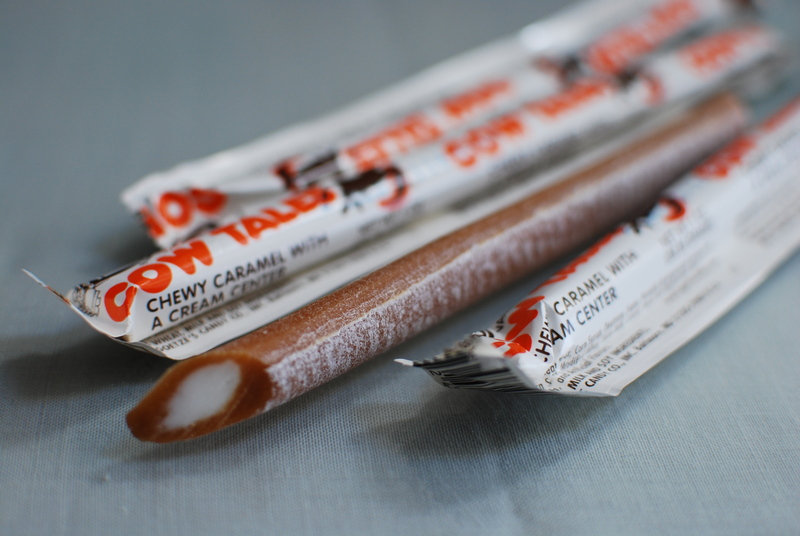 Growing up, my friends and I would always eat these soft caramel chews filled with a white icing-like cream in the middle. They were always around, at grocery stores, poolside snack bars and even our school cafeteria vending machines. I had no idea they were local until moving back, finding them at our hospital gift shop and realizing it had been years since I’ve had them. Based in Baltimore since 1895, Goetze Candies have produced the aforementioned Caramel Creams (sometimes called Bulls-Eyes) and Cow Tales, longer strips of caramel with a thin cream center. The company focuses exclusively on these products, and prides itself in using only a few, high quality ingredients. © Joseph Marana and The Baltimore Food Chronicle, or baltimorefoodchronicle.com, 2013. Unauthorized use and/or duplication of this material without express and written permission from this blog’s author and/or owner is strictly prohibited. Excerpts and links may be used, provided that full and clear credit is given to Joseph Marana and The Baltimore Food Chronicle, or baltimorefoodchronicle.com with appropriate and specific direction to the original content.